Two renewable energy projects – one in Vietnam and the other in China – and two forest conservation projects – one in Tasmania and the other in Zimbabwe – are the first projects to benefit from World Expeditions’ new Positive Impact Travel initiative. The initiative, in which World Expeditions is purchasing carbon credits to offset emissions, is the newest in the company’s continued drive to ensure its adventure travel offerings support the UN’s Sustainable Development Goals. Travellers taking off on a World Expeditions’ adventure in Asia in 2019 will be the company’s first to have their travel completely offset and, in more good news for travellers, World Expeditions has opted not to pass costs on, and is itself funding the cost of credits. 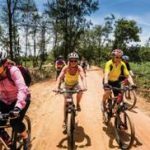 According to World Expeditions Responsible Travel Manager, Donna Lawrence, the new Positive Impact Travel initiative supports travellers’ expectations that the company adheres to the highest standards of sustainable travel on every level of operations. “Plans are already underway to purchase additional carbon credits as we expand our positive impact initiative to include other destinations,” she said. 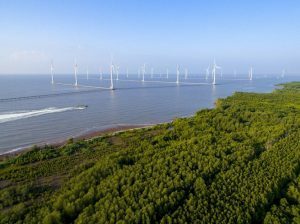 World Expeditions has purchased credits in the Bac Lieu Wind Energy project, Vietnam, which produces clean and affordable wind energy; the Myamyn Conservation Project, Tasmania, which protects ancient forest and ensures biodiversity in Victoria’s lowland forests; the Kariba REDD (Reduced Emissions from Deforestation and Degradation) + forest protection, Zimbabwe, which conserves forest and protects wildlife and the Huoshui Grouped Small Hydropower, China, which provides clean energy for remote mountain communities. Together, these projects address Sustainable Development Goals #1 No poverty; #4 Quality education; #5 Gender equality; #6 Clean water and sanitation; #7 Affordable and clean energy; #8 Decent work and economic growth; #13 Climate action; and #15 Life on land. World Expeditions is committed to ensuring its entire adventure travel range has a positive global impact and is well known for its work to bring tourism to impoverished communities in various regions as a way of reducing poverty. It is the only company, for example, to operate the 1300km Great Himalaya Trail, the 152 day traverse across Nepal which brings tourism dollars to remote communities, who have no access to income from other sources. The company regularly introduces new trips to disaster-affected and impoverished regions, such as Kerala in South India, remote Peruvian communities and to countries like Jordan and Ethiopia, where employment opportunities through tourism can make an enormous difference to standards of living. World Expeditions is the founding partner of 10 Pieces, a litter minimization and education lobby, which helps supports SDG #13 Climate Action, through traveller engagement. It’s Rebuild Nepal Program continues to support the redevelopment of classrooms across remote mountain communities affected by the 2015 earthquakes. World Expeditions’ Youth Brand, World Youth Adventures, provides service leaning programs for schools across the globe, arming students with experiential learning opportunities that shape them into global citizens and the charity brand, Huma Charity Challenge, has raised more than $1.5 million dollars for charity.